Spacious 3 bed/2.5 bath home ideally located on a quiet cul-de-sac in the village of Westfield. 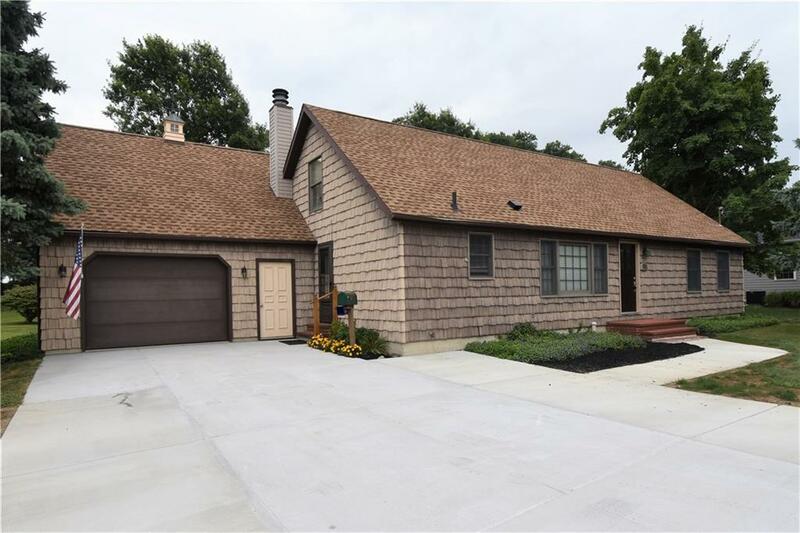 Improvements like a new front door, sidewalks in the front & rear, a widened concrete driveway leading to a 1.5 car garage & easy-to-maintain cedar-look vinyl siding contribute to the home's exterior charm. 1st floor features a master suite w/new carpet & paint, jetted tub & separate shower. Hardwood throughout the 1st floor, a lovely fireplace & enclosed sun room, as well as an inviting kitchen w/ ample counter space, lots of natural light & an updated range hood all add to its appeal. 2nd floor boasts 2 large secondary bedrooms, a full bath & a unique space perfect for a desk or cozy reading nook. The home is heated w/ affordable Westfield electric. A full dry basement could easily be converted into additional living space. The back deck overlooks a beautiful, large yard perfect for enjoying backyard games. Schedule your showing to view this treasure today!